Fall is the best time for planting. We have been saying this in the business for almost 25 years now – ever since growers started producing trees, shrubs and evergreens in containers. I like planting now and generally, I have more success with September and October planting than I do with spring planting. With the cool temperatures of fall, the ‘top growth’ of winter-hardy woody perennials slows and hardens off. At the same time, the roots are busy putting down young feeding roots which will provide support for substantial growth next spring. I remind you that no plant will perform well in your garden without strong, healthy roots. 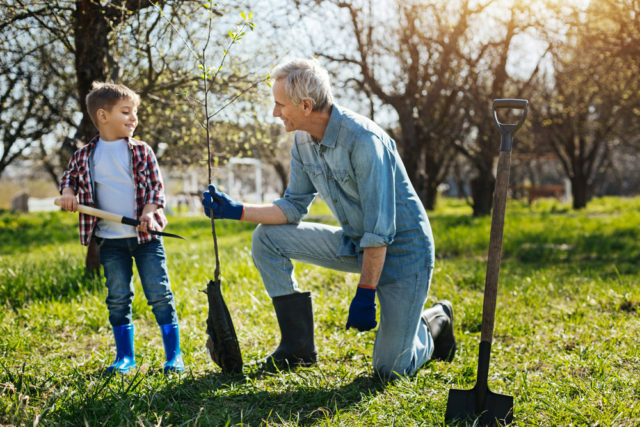 Put another way, the ONLY way that a newly planted tree, shrub, evergreen or rose will grow and thrive in your garden is after it has developed a system of roots that will support the ‘top growth’ that we see and wait for so anxiously after planting. How do you know good roots? You will know that a woody plant has the right kind of roots while shopping at the nursery by pulling it out of the pot. You don’t have to yank it all the way out of the pot, but far enough to see the extent to which they fill it. If they completely fill the pot or turn around the interior contour of it, you have a potential problem getting the plant to establish itself in your garden. Ideally you should buy plants that fill about half of the pot with roots; the other half should be the soil mix. This plant needs no lessons on how to grow. It will hit the new soil at your home running. Most fall-planted nursery stock will put down new roots before the hard frost of late November or December. The new root growth will benefit you in the long run as you can gain up to one year’s growth over the specimens that you plant next spring. If you cannot pull the plant out of the pot then push your finger through the surface of the soil. If that is not possible the chances are pretty good that the whole pot is full of roots – not a good sign. I recommend that you take a pass on such root-bound plants. Second only to buying a quality plant, is the preparation of the planting hole. Dig a hole at least twice as wide as the root mass of the plant and 1.5 times as deep. Back fill with quality triple mix (equal parts top soil/peat/compost), place the plant in the hole and top the hole up with more triple mix. Stomp on it with the heel of your boot to get the soil in firm contact with the roots. By doing this you are sending a message to the roots that it is indeed time to find a new home and get growing. Set the plant a few centimetres above grade for proper drainage, allowing the water to drain away from the centre of the plant, not into it. What if the plant is pot bound? I will agree that you cannot always choose a plant with perfect roots. 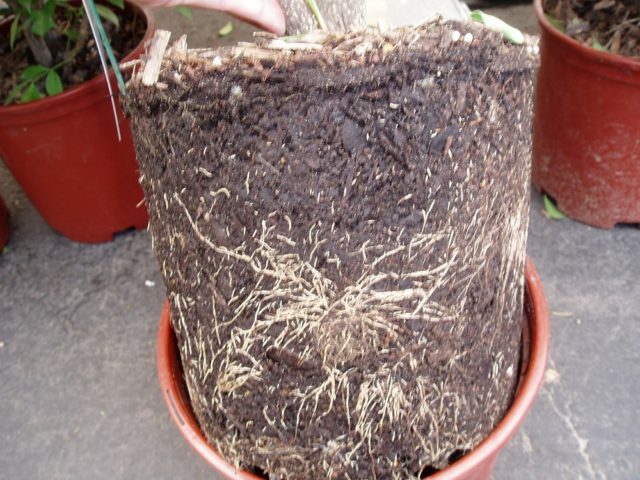 If you bring home some nursery stock that is pot bound, or even partially pot bound, be sure to pull the roots out from the circular mass that they have grown into while inside the pot. 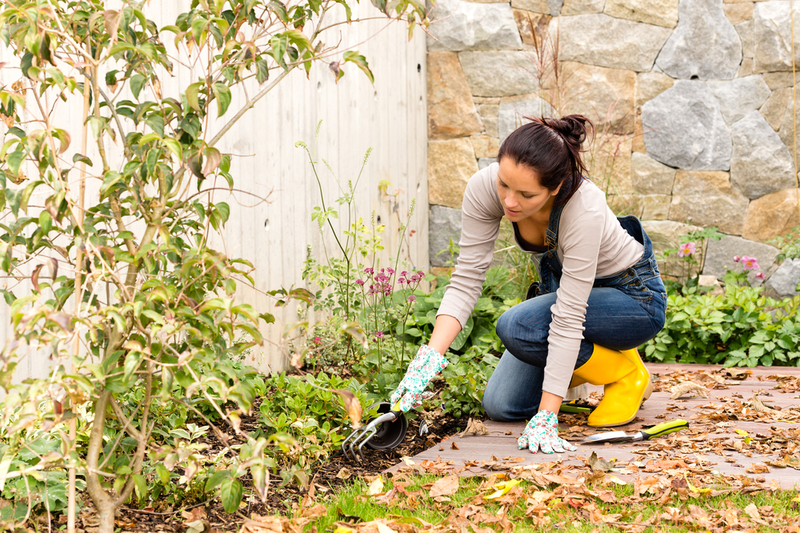 Use a sturdy knife or even the tip of a small trowel to get a grip on the roots and pull them out. You will do some ripping and tearing in the process. You can remove up to one-third of the roots without causing damage to the plant. Once planted with new soil firmly packed around its roots, the plant will enjoy nothing more than a good, deep drink of water. The addition of a ‘starter’ fertilizer provides a needed boost of nutrition. As winter approaches you will have plants in the ground that will thrive next spring. You will have taken advantage of many fall discounts at nursery retailers this time of year and you will be planting in some of the most pleasant temperatures for outdoor activity in the whole year. Mark Cullen is an expert gardener, Member of the Order of Canada, author and broadcaster. Get his free monthly newsletter at markcullen.com. Look for his new best seller, The New Canadian Garden' published by Dundurn Press. Follow him on Twitter @MarkCullen4 and Facebook.